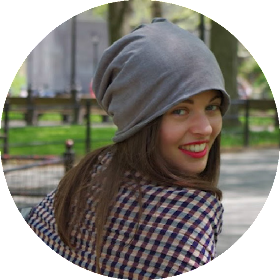 I love to add a finishing touch genuinely inspired by the values and elegance of the equestrian world to my outfits. From watches to dresses, horses are part of my authentic equestrian life. And they are never enough for me! 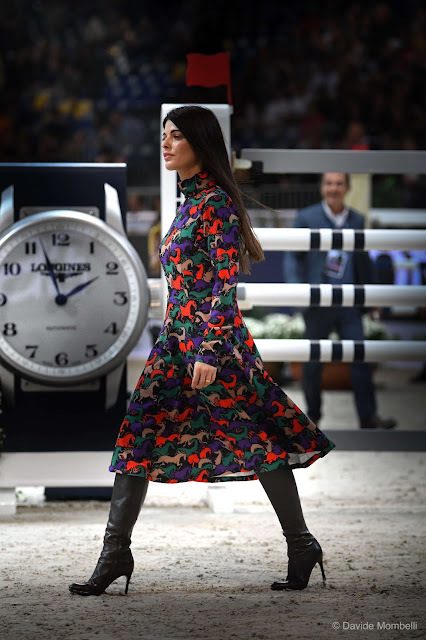 Adoro aggiungere un tocco finale naturalmente ispirato ai valori e all’eleganza del mondo equestre ai miei outfit. 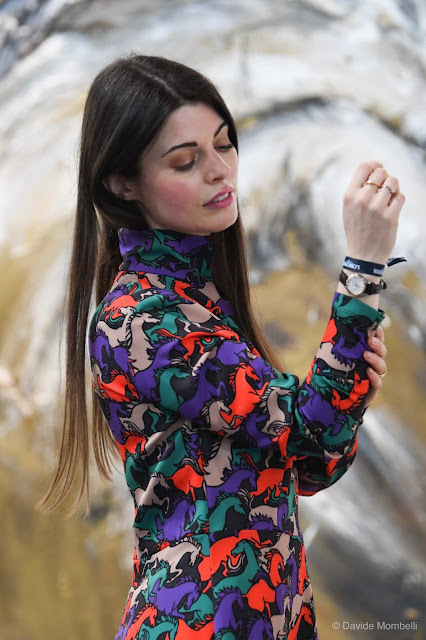 Dagli orologi agli abiti, i cavalli fanno parte della mia vita equestre più autentica. E non sono mai abbastanza per me! Every year, the elite of the equestrian sport gather in Italy to compete at the Longines FEI Jumping World Cup Western European League - Jumping Verona. It is the most important event in the equestrian calendar of Fieracavalli, an historic fair loved by all horse enthusiasts, that this year celebrated 120 years. Of course, I could not miss it! 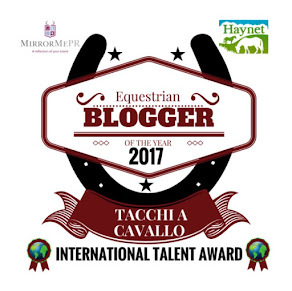 It is a very special event for Tacchi a Cavallo, which four years ago marked the beginning of the collaboration with Longines. Since then, I wore the best timepieces and the newest entries in the Longines collections. For this season's rendezvous, I had the opportunity to wear a Longines watch from the new Record collection. Presented last year by the Swiss company for its 185° anniversary, in Longines’ purest watchmaking tradition, the Record automatic models combine classic elegance and excellence, aspiring to become the spearheads of the brand. These extraordinary timepieces integrate a silicon spiral with unique properties, resistant and insensible to temperature variations, and boast the chronometry certificate issued by the Swiss Official Chronometer Testing Institute (COSC). In particular, this model in steel and coiffe in 18-carat rose gold, of 26 mm diameter, houses a mechanical movement with automatic winding with certificate of the COSC chronometry. The argenté soleil dial is embellished with 12 indexes and is offered with a brown leather strap. Ogni anno, l'élite dello sport equestre si riunisce in Italia per sfidarsi nella Longines FEI Jumping World Cup della Western European League - Jumping Verona. È l'evento più importante del calendario equestre di Fieracavalli, una fiera storica amata da tutti gli appassionati di cavalli, che quest'anno ha festeggiato i 120 anni. Non potevo certo mancare! È un evento molto speciale per Tacchi a Cavallo, che quattro anni fa segnò l'inizio della collaborazione con Longines. 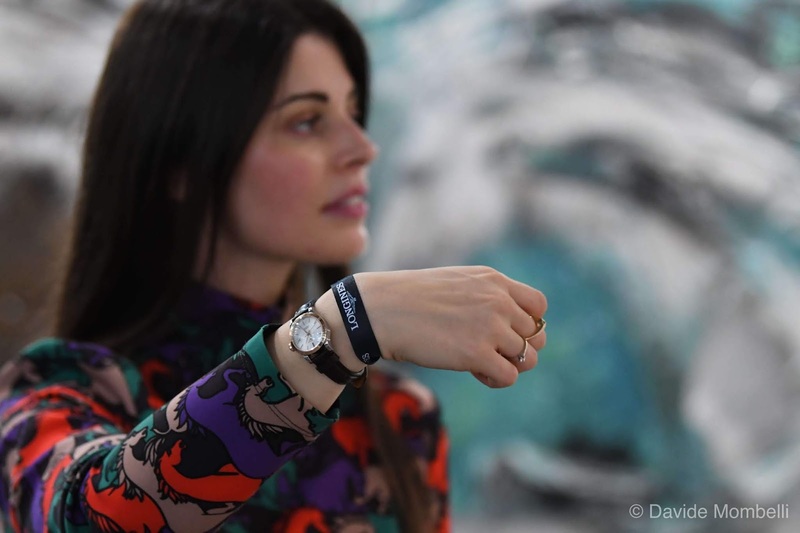 Da allora, ho indossato i migliori orologi e le ultime novità nelle collezioni Longines. Per l’appuntamento di questa stagione, ho avuto l'opportunità di indossare un orologio Longines della nuova collezione Record. Presentati lo scorso anno dall’azienda svizzera per il suo 185° anniversario, nella più pura tradizione orologiera di Longines, i cronometri della collezione Record abbinano eleganza classica ed eccellenza, con l’ambizione di diventare la punta di diamante del marchio. Questi segnatempo straordinari integrano una spirale in silicio dalle proprietà uniche, resistente ed insensibile alle variazioni di temperatura, e vantano il certificato di cronometria rilasciato dal Controllo Ufficiale Svizzero dei Cronometri (COSC). In particolare, questo modello in acciaio e coiffe in oro rosa 18 carati, di 26 mm di diametro, ospita un movimento meccanico a carica automatica con certificato di cronometria del COSC. Il quadrante argenté soleil è impreziosito da 12 indici ed è proposto con cinturino in pelle marrone. Entering the arena for the reconnaissance tour with the best riders in the world was a unique privilege. Walking the course is one of the most important elements of any show jumping competition and requires concentration from the rider, that has to look around and take everything in through the horse’s eyes, to plan the best route, count the strides, and spot any potential distractions. That’s way, normally, people are not allowed to access it. Wearing an equestrian themed dress, with colorful horse prints, made it, of course, even more exclusive. Perhaps you have recognized it, this dress is part of Attic and Barn's latest fall / winter 2018 collection. Entrare in campo per il giro di ricognizione con i migliori cavalieri al mondo è stato un privilegio unico. Percorrere il percorso è uno degli elementi più importanti di qualsiasi competizione di salto ostacoli e richiede concentrazione da parte del cavaliere, che deve guardarsi attorno e cogliere il tutto con gli occhi del cavallo, pianificando il miglior percorso, contando i passi e individuando ogni potenziale distrazione. Ecco perché, normalmente, le persone non possono accedervi. Indossare poi un abito a tema equestre, con stampe di cavalli colorate, lo ha reso ancora più esclusivo. Forse lo avete riconosciuto, questo abito fa parte dell’ultima collezione autunno inverno 2018 di Attic and Barn. The Italian leg of the Longines FEI Jumping World Cup 2018 has been claimed by German rider Daniel Deusser and his horse Calisto Blue. Niels Bruynseels (BEL) on Gancia de Muze took the second place followed by Switzerland’s Martin Fuchs on Clooney 51. Longines is not only the Title Partner, the Official Timekeeper and the Official Watch of the Longines FEI Jumping World Cup Western European League series, Longines is much more that this. 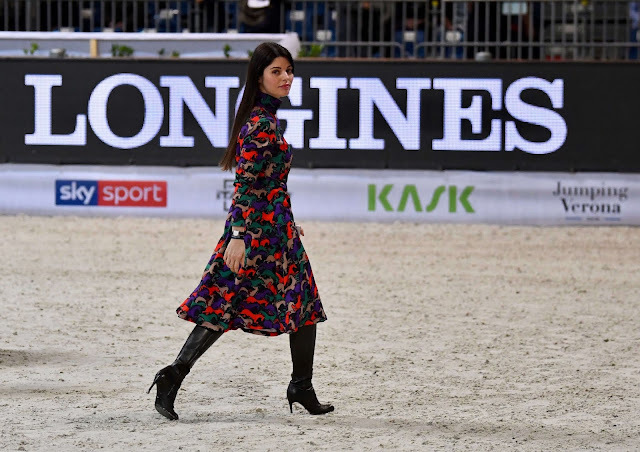 Basically, the fate of these riders is in its hands, and as much as Longines gets to show off its timekeeping chops in events like Jumping Verona, it also supports the link between equestrian sport and elegance. "It's the only sport where you see an athlete in a jacket and tie" says always Juan-Carlos Capelli, Vice President and Head of International Marketing for Longines. According to Capelli, elegance is akin to confidence, and the simple styling and precision of the Record timepieces mean that the wearer never has to worry about time accuracy. The Record collection, he says, “It’s about elegance, not trends. It is a watch for everybody”. 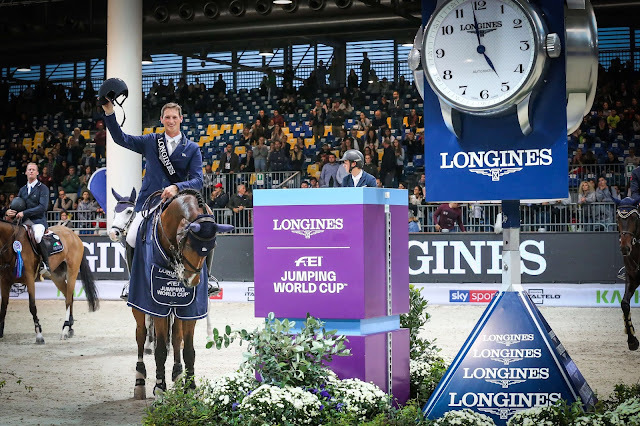 La tappa italiana della Longines FEI Jumping World Cup 2018 è stata conquistata dal fantino tedesco Daniel Deusser e il suo cavallo Calisto Blue, seguiti da Niels Bruynseels (BEL) con Gancia de Muze, in seconda posizione, e dallo svizzero Martin Fuchs con Clooney 51. 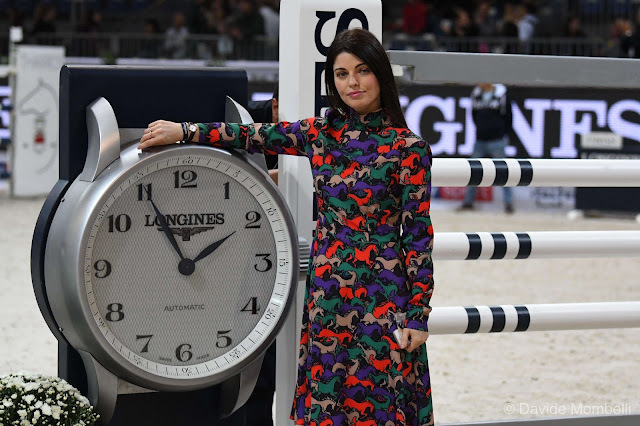 Longines non è solo Title Partner, Cronometrista e Orologio Ufficiale della Western European League della Longines FEI Jumping World Cup, il brand orologiero svizzero è molto di più. Fondamentalmente, il destino di questi cavalieri è nelle sue mani ed esponendo i suoi segnatempo in eventi come questo di Jumping Verona, sostiene anche il legame tra sport equestre ed eleganza. "È l'unico sport in cui vedi un atleta in giacca e cravatta", ricorda sempre Juan-Carlos Capelli, Vicepresidente e Head of International Marketing per Longines. Secondo Capelli, l'eleganza è come la fiducia, e lo stile semplice e la precisione degli orologi Record significano che chi li indossa non deve mai preoccuparsi dell'accuratezza del tempo. La collezione Record, dice: "Riguarda l'eleganza, non le tendenze. È un orologio per tutti”. 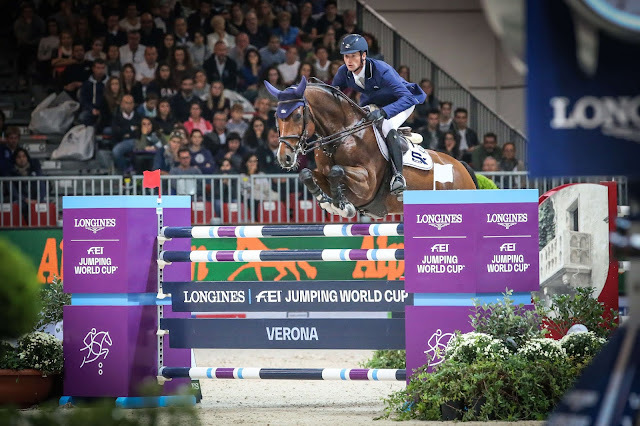 Jumping Verona and Fieracavalli 2018 have been amazing, and are confirmed to be two unmissable events for Horse Lovers like us. Thanks also to Longines, they will remain memorable! 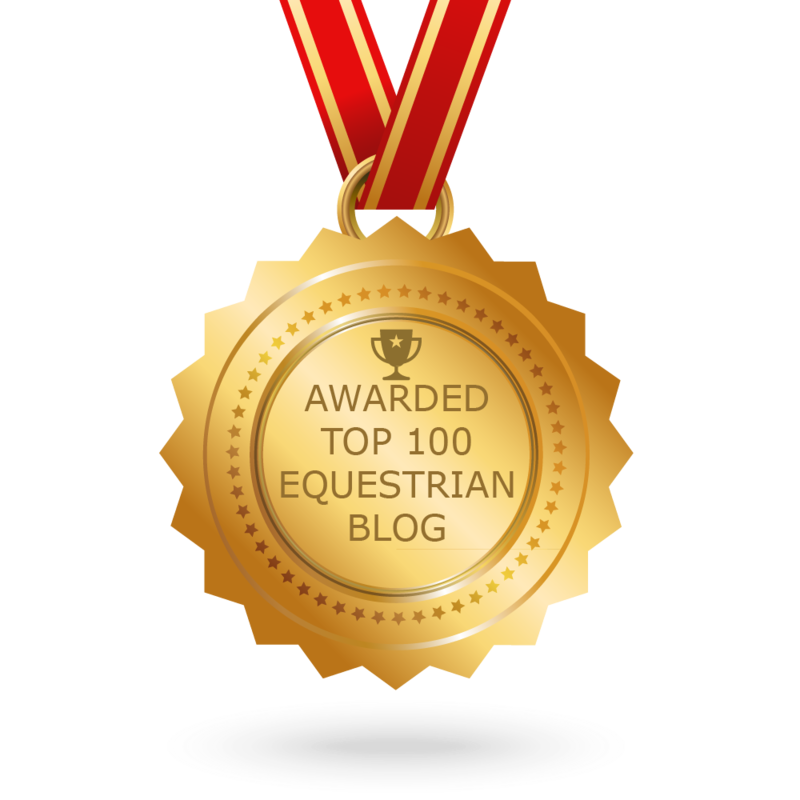 See you the next year, my dear Horse Lovers! Jumping Verona e Fieracavalli 2018 sono stati spettacolari, si riconfermano due eventi immancabili per Horse Lover come noi. 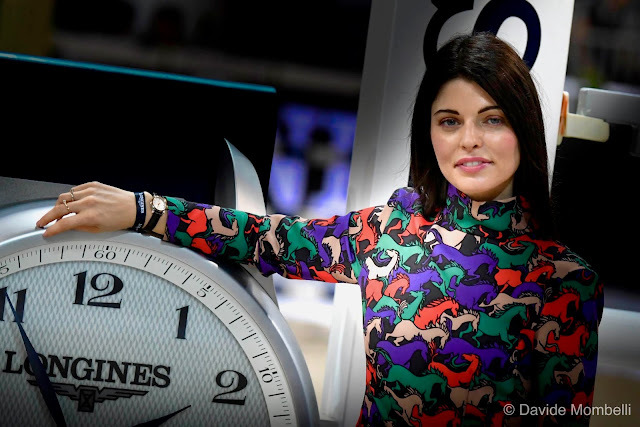 Grazie anche a Longines, resteranno memorabili! Appuntamento al prossimo anno, miei cari Horse Lover!